Ehren Starks : Cry Wolf. Piano and cello/jazzy new age. 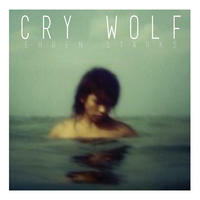 "Cry Wolf" is Ehren Starks' third album. Written and recorded over the course of 15 years, it is his opus. Insisting every record be better than his last, Ehren explored new musical territories and influences to create this record. As always though, life in general was his biggest influence. The trials and tribulations of life in a small town, love lost, substance abuse, mental breakdowns and coping with adulthood all shaped "Cry Wolf". The album seeks to encapsulate all the power of beauty, melancholy, torture, anger, joy, loneliness, and escapism during this period. "Cry Wolf" though almost never saw the light of day. After a devastating computer meltdown, all the files were lost except for one source. With the help of a fan and the mastering skills of David Chutka, the pieces were put back together and the album finally came to be. License Piano and cello/jazzy new age by Ehren Starks for your project. Play the music of Ehren Starks in your restaurant or store. Guinevere by Jeff Wahl: acoustic new age and jazz guitar.